East Sheen was the place where he found his first job in England when he arrived from Rome at the age of 22 and was not able to speak a word of the language. After training in Italy he was keen to further his experience and was fortunate enough to be offered a job within days by Robert Neil, owner of the well-established salon on the Upper Richmond Road. “I’ll always be grateful to him because he said you don’t need to speak English if you are a good hairdresser. He took me on and I stayed eight years,” said Claudio, who now lives in Shepherd’s Bush with his partner and their two children. So it was no surprise that later in his career when he wanted to open his own salon he returned to familiar surroundings which he knew so well. 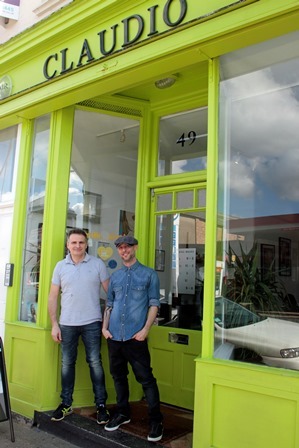 “I still had clients in the area and when I found premises in Sheen Lane I thought this will do fine,” he said. Claudio opened his doors in the summer of 2005 and the business was such a success that he was able to take on former colleague, Marco Favaretto, two years later. The pair worked together in Bayswater where Claudio worked for another eight years after leaving Robert Neil and where his clients included a number of well-known show business figures like singer Kylie Minogue, fashion designer John Galliano, and model Jordan, as well as other VIPs. Claudio prides himself on creating a friendly atmosphere in which the clients feel relaxed and can enjoy the experience of having their hair done. There are chocolates to be nibbled, lollipops for the children, and husbands can have their hair cut as well. Proof that Claudio and Marco are much valued is revealed by the fact that many of their clients have been with them for many years, and include whole families who go to the salon for their haircuts. Clients also bring them back momentoes from holidays and countries they have visited around the world. A shelf in the salon is crowded with such items, ranging from a cowbell from Switzerland, a tiny model of the Brandenberg Gate from Berlin, a model of Rio de Janiero’s famous Statue of Christ, and a model Vespa scooter from Italy. 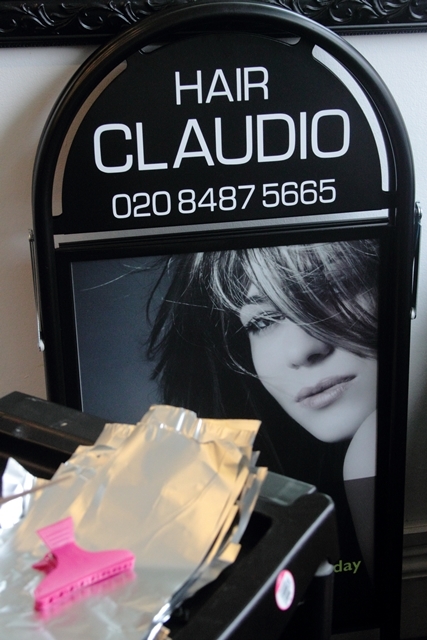 With East Sheen being a family area, Claudio finds there is not a huge call for some hair services he is experienced in like, for example, hair extensions. “These can be very expensive, ranging from £500-£1500,” he said. While in Bayswater he also learned how to do Afro hair and Chinese hair, both of which need special techniques. 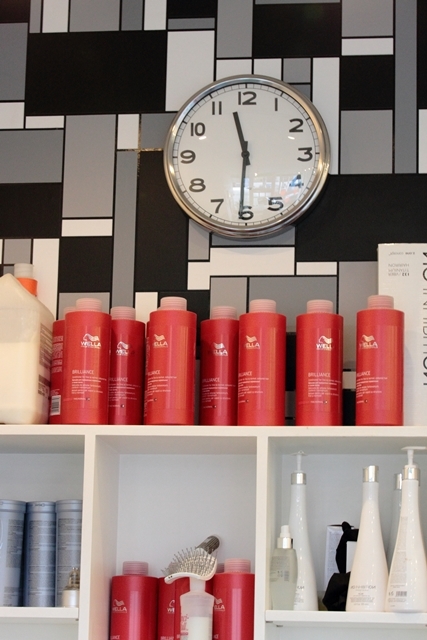 Prices in his salon range from £37 for a wash and cut, from £48 for full colour, and from £85 for highlights.